Jones was pretty bad in college so I can't see him sticking. To me, this is a competition signing and then they'll either draft or sign their 2019 starter. Parkey and this guy will then be, as @WindyCity said, launched into the ****ing sun. Bring in anyone. I don't care if it's @ET80 and his bum knee at this point. I just know I don't wanna be holding my breath on every kick this year. That said, it wouldn't surprise me at all if Parkey is still on the team come September. Finding a good kicker is not a easy thing to do. Unless something crazy happens, Parkey's best competition with likely come on draft day via (unofficial) free agency from UDFA's. That is unless Pace actually uses a draft pick on a kicker, which is not out of the realm of possibility either. At that point, Parkey would obviously be gone for sure -- regardless of the usual "Parkey is still competing and we have not decided yet" shill. I don't care if it's @ET80 and his bum knee at this point. Hey! I've been doing spin cycle and cardio kickboxing - I'm ready, coach. Holy crap your fast! Spin cycle AND cardio!!!!!! Pace.......bring him in now before he breaks a hip. They will kick the tires on free agents. 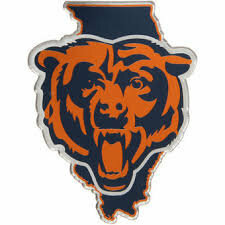 See what the money is like with Robbie Gould. If the free agent market is nuts, they will draft or sign another young guy to compete with Redford and maybe keep one and stash the other. This is just an option. They have a ton of roster spots right now. Talk about a comment that has nothing to do with the quoted post. If you think they're done addressing the position, be my guest. You: Jones was pretty bad in college. Me: So were two of the greatest kickers in NFL history. Yeah... "nothing to do with the quoted post". And I never said they're done addressing the position lol. Jones did a double doink himself .